Today I went crazy with Vue components, Laravel scopes, and fancy PHP classes with magic methods and actually felt like a super-competent web app developer! Yay!!! Is 2018 on GitHub? I’ve got a bunch of issues and fixes for it that I need to contribute. Hey, kids. If you’re gonna keep vomming can you please try and do it on Fridays rather than Sundays. The 48-hours-off rule is making it very hard to get any work done. P.S. I’m sorry. I love you. Get well soon. One of those “can everyone please stop talking!!! !” mornings. And I’m reminded of the idea of a holiday club for introverted kids. More: books, puzzles, video games, craft tables. Less: loud music and discos, parachute games for 50 people at once, etc. Oh, and, yes, I complain about bad driving, but I like to praise good driving too. My office to Castle Eaton takes in some busy single-lane roads with blind corners. There was some great waiting and negotiation and some IMPECCABLE overtaking today. Is that thunder? 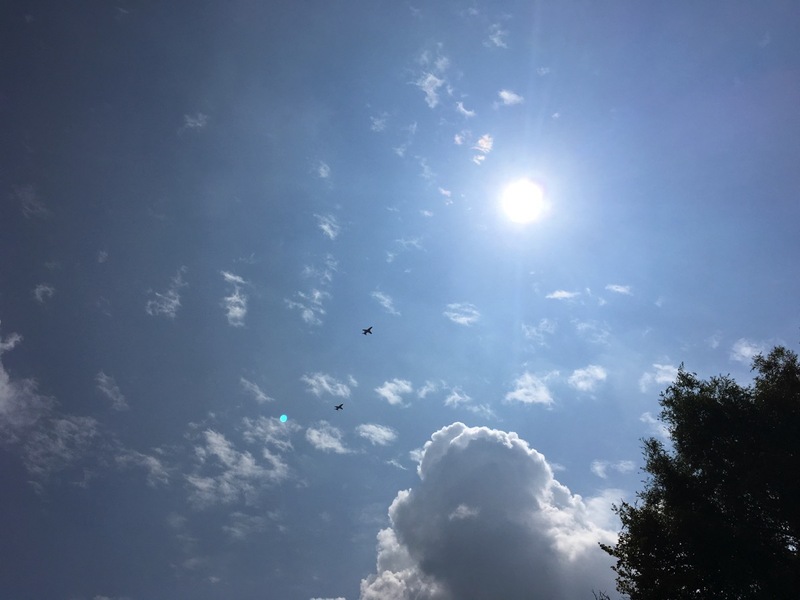 Or an F35 flying over? Early lunchtime bike ride out to Castle Eaton to see the Red Arrows display. Not a great view, would love to have been closer, but loved the ride and the view! 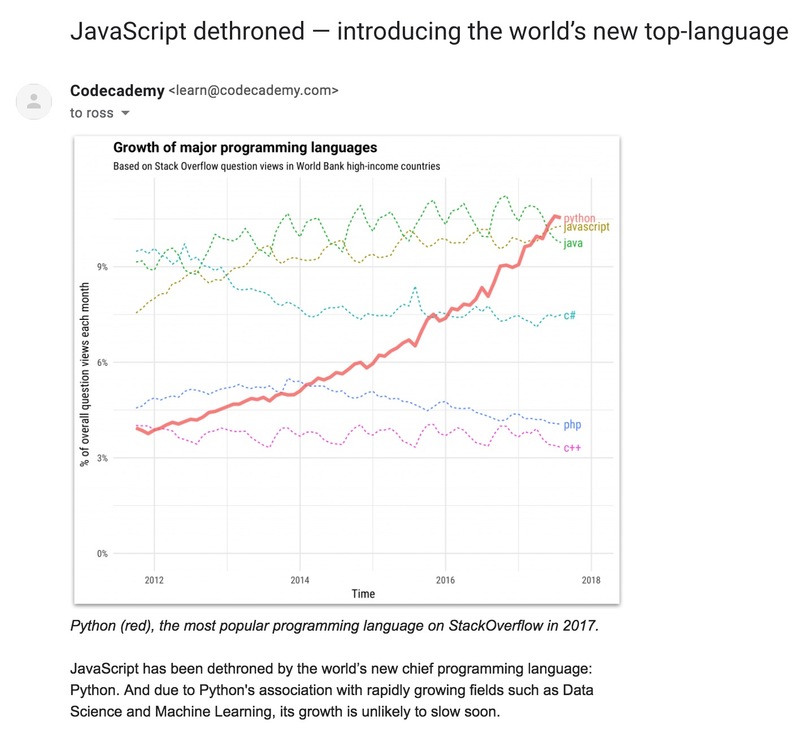 The increase in StackOverflow views for Python over time almost certainly represents an increase in usage, but to deem it “the world’s new top language” as the email did is making quite a big leap. I’m not sure being top of the most-viewed list on StackOverflow is good for a language is it? It could imply your language is hard to learn, has unhelpful errors, has poor documentation. I’m not suggesting Python is/has these things. But SO views could be seen as failures?